In Blue Feet, I declared my goal to run barefoot/minimalist! 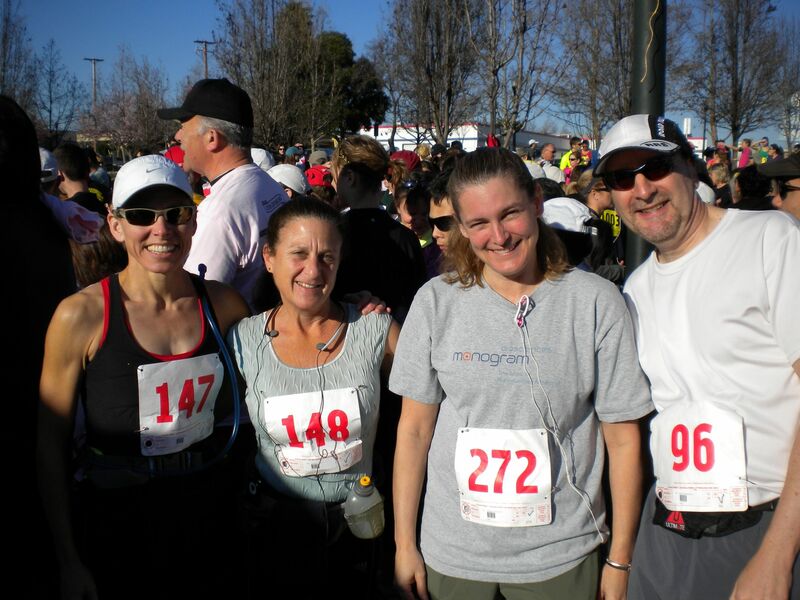 This weekend, I ran a local Valentine’s Day 10k in my Vibram Five Finger (VFF) shoes. It was a triumph of training and perseverance. 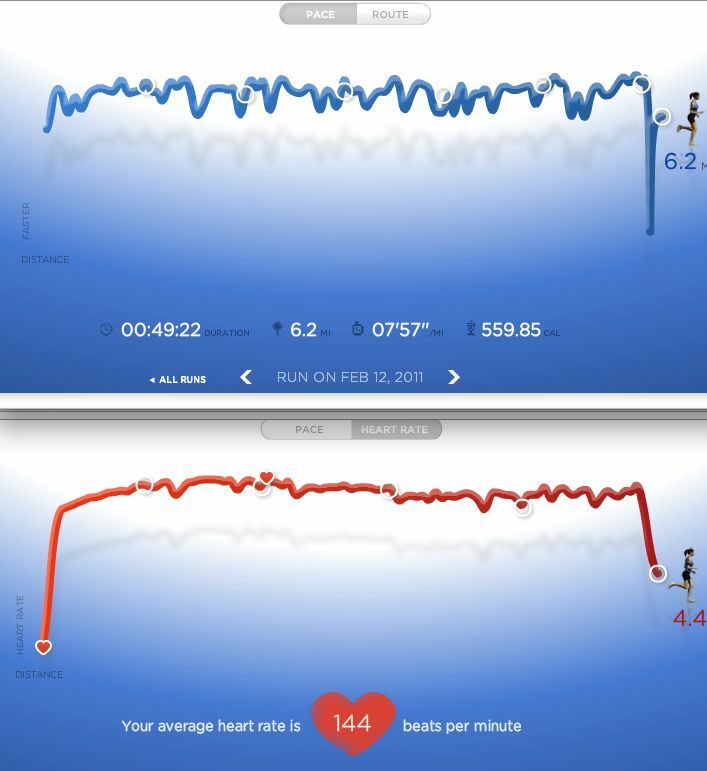 Even though I pulled up my mileage a bit faster than I probably should have (from a training perspective) – my feet are still a little stiff today – I am thrilled with the how I felt running. I was relaxed and comfortable for the entire race AND I turned in a faster time this year (48:05) than last (49:35)! The hardest part of the race was the ½-mile section of sharp gravel that forced me to focus on every foot placement to avoid pain/injury to my feet. I successfully negotiated that section at what seemed like a slightly slower pace than the other sections, but the GPS trace suggests that I maintained pace through the entire section! My long-view perspective on all of this: goal → execute (perseverance) → enjoy! It is about how you feel! Perhaps I should have titled this post, Red Feet? Why is the Vibram Five Finger ‘shoe’ not the Five Toe shoe? And, that guy on the end (#96) looks kinda familiar! I have wondered the same thing. Perhaps it’s the same reason that we drive on the parkway and park on the driveway, what do you think? This blog chronicles long view thinking in all aspects of life, but with special interest in technology and business.